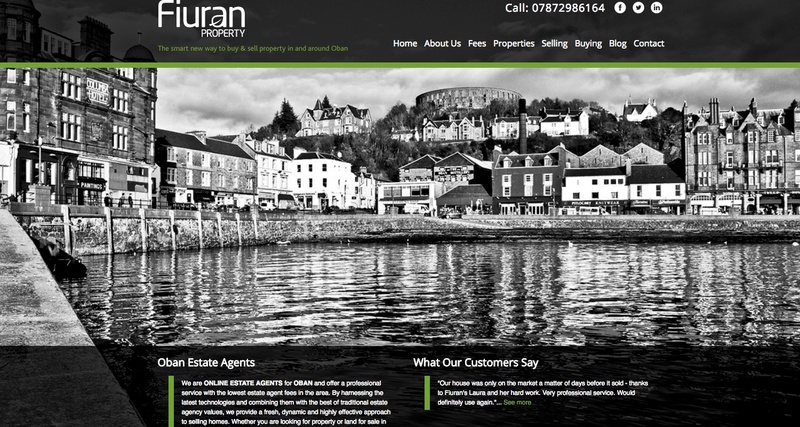 The site is for an estate agent in Oban, Scotland. And the brief was simple, make people love Oban and make people want to view some of the wonderful properties that Fiuran house. The next task was to get the company ranking for 'estate agents in Oban' so that we could expand and extend the amount of traffic the site was getting through each month. This site was a few years back, but I still love the design of it. The black and white imagery, tied in with the simple UX means it's just got a timeless class about it. The search mechanism makes for an easy property filter system and encourages users to get in touch. The client are very happy with the end product and we've worked closely together ever since. We wanted to create a site that was new and fresh, but also one that was simple to use and clearly laid out, and we certainly feel that Rob has scored on all counts. 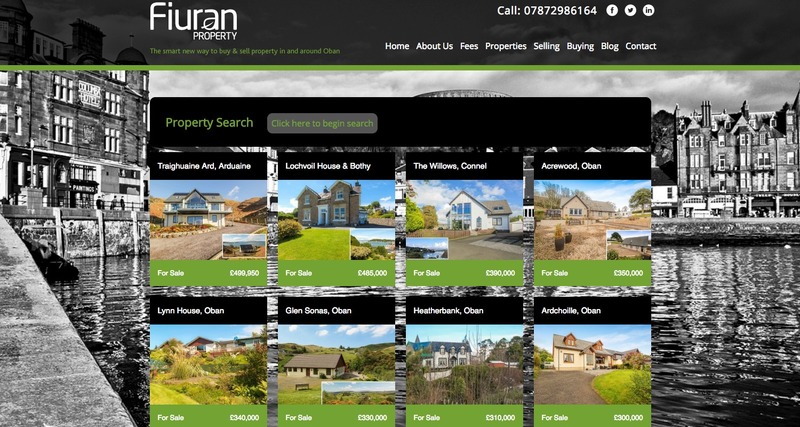 In addition to the fantastic design, Rob also used his web skills to ensure we are found easily on the web – something very important for an online Estate Agency – and we have achieved the ‘holy grail’ of being on page 1 of Google for all of the important search terms such as ‘Oban Estate Agents’, ‘Oban Property’, ‘Oban Houses’. So you can be assured that we, and therefore your property, are easily found on the internet.